Once upon a time, a football clubs front men had a tough old ride. Referee's often sided with defenders who gave out crunching tackles as regularly as hooligans making the front pages. The likes of Norman 'bites yer legs' Hunter, Dave Mackay, Kenny Burns, and later, Julian Dicks, struck fear into anyone venturing forward although, it has to be admitted, in the case of Graeme Souness for example, some were more than happy to give a little back. The game is a lot less physical now and your twenty goal a season star striker is far more protected by the men in black (or yellow, green or red as it seems these days) although just as likely to go clattering down inside the penalty area! Some things however haven't changed for strikers, and goal droughts are one of them. Every striker from Hackney marshes to Old Trafford and beyond has suffered at some point with this. Wayne Rooney hit the headlines relatively recently with his inability to 'bulge the onion bag'. He's not the only one of England's finest to suffer, Gary Lineker, Bradley's father Ian Wright, and even I believe the goal machine himself, Jimmy Greaves, had a lean patch or two. It's a confidence thing of course. Once it's been more than three or four games people start to realise it just isn't happening for the individual. As the games mount up it's harder and harder to find any joy in front of goal, the manager's hoping a simple tap in or even a deflection of sorts that will be enough to see every nine year old supporters poster hero get his name back on the score sheet. Floodgates i believe is the word. Once one goes in, however that may happen, plenty will follow. And so that's how it evolved for our very own Bradley Wright-Phillips. November 19th at Griffin Park was goal number fourteen of the season for our number ten. Nobody then would have thought it would take thirteen more games to get his fifteenth. Our Bradley couldn't have picked a better stage to finally end this drought though than a home tie against Stevenage in front of a staggering 26,000 supporters. This crowd of Premier league proportions was due to Charlton's now familiar and very successful 'football for a fiver' campaign. After a poor score draw at The Valley against Rochdale, Charlton got back to winning ways against high flying Stevenage with goals from the impressive Michael Morrison and then, finally, BWP himself. 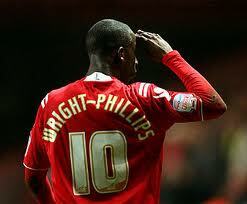 If truth be told, that day Wright-Phillips could have, and perhaps should have had half a dozen. The only dampener on a fantastic day in SE7 was the bottle throwing incident as Bradley celebrated his goal. Fortunately the perpetrator didn't have the same measure of accuracy as our goalscorer. Last night it was a trip to the B2net stadium (what an awful name) in Chesterfield for the re-arranged fixture from the other Saturday. League One's bottom club hosted the top one and three points for the visitors, although by no means a forgone conclusion, wasn't met by any real surprise. An impressive seven hundred Addicks made there way to Derbyshire and witnessed what should have been Wright-Phillips first career hat trick. For the second game in succession Chris Powell fielded his strongest (and preferred) starting eleven with both Solly and Jackson now present. Jackson, the skipper, added to his impressive tally for the season again whilst Charlton's other goals in an excellent 4-0 win were down to a now much more confident goal scorer. Although still claiming the match ball, Bradley's third saw the final touch coming off a defender and appears from some sources to have been credited as an own goal. I doubt very much the striker will let that one go without a fight! In fact, interviewed afterwards he said, "I lunged at it and got a touch. There was a little bit of help from the centre-back on its way in, but it's clearly my goal." Everybody loves a hungry centre forward. Thirteen games to go, sitting proudly at the top and fifteen points clear of third. These are great times to be a Charlton fan, and even better times to be a Charlton striker i should think.